The Carbonphone by Placid Audio is a very unique microphone for anyone who is interested in experimenting with sound. Its military grade carbon granule element captures sound and creates a "lofi" sound that is naturally distorted. 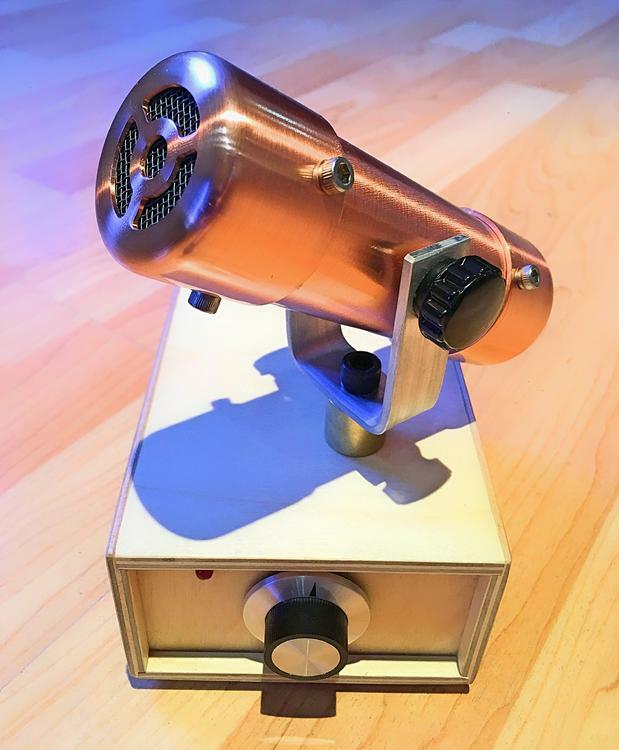 Creating sounds similar to scratchy vinyl or an old military radio, this microphone is perfect for anyone looking to recreate a more vintage tone or anyone looking to create something new altogether. Included with the microphone is the Tone Box which provides the current which is needed to power the microphone. While the microphone can be powered by any standard 9 volt power supply, the Tone Box can also shape the sound through a variable five position filter circuit. Each selection on the control knob offers a different frequency response, allowing the Carbonphone to be used on a broad range instruments and for various applications. Because the sound of Carbonphone has a character unlike many other traditional mics, it makes a great addition to any recording enthusiast’s arsenal of microphones. It can be used as an all out obvious ‘effect’ on it’s own or it can be paired with other traditional microphones for infinite blending possibilities. The Carbonphone is a perfect microphone for any person looking to update their studio with new sounds but it is also usable for live performances and with its high durability and great resistance to high pressure sound levels. Tone Box Weight 0.70 lbs.